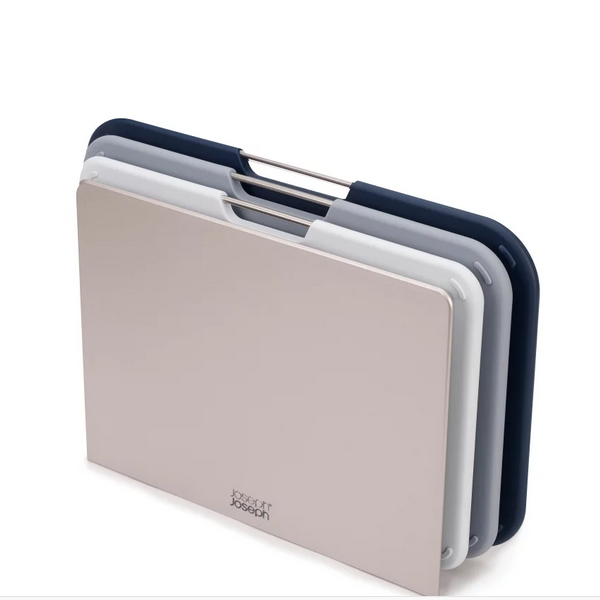 These three colour-coded chopping boards are very easy to access and come with their own sleek storage stand, each board is a different size, catering for a range of food tasks, and features an easy-lift stainless-steel bar, and non-slip feet to make sure it stays firmly in place. This set makes a stylish addition to any worktop. The stand holds each board apart, allowing air to circulate for even, easy drying.